Available as low as $1.89 per oz over spot! The Perth Mint is one of the most successful refineries in the world, producing coins on an annual basis that investors and collectors clamor to add to their portfolios. The mint’s popular Silver Australian Koala coin series is back for another year, and available in two different weights in bullion and proof versions. 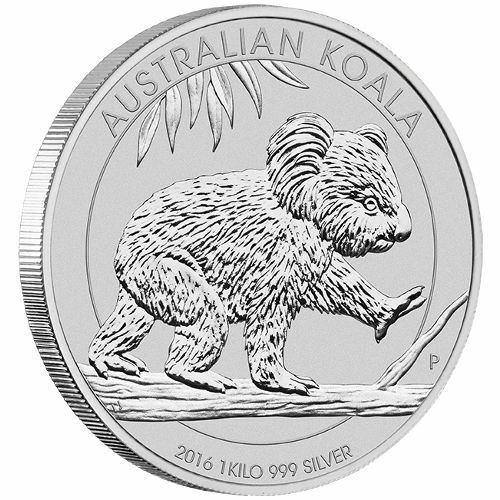 Right now, Silver.com offers the 2016 1 Kilo Silver Australian Koala Coin in BU condition. Face value of $30 (AUD) is fully backed by the government of Australia. Bears an all-new Koala design for 2016. View annual Perth Koala mintages. Australian Koala coins from the Perth Mint were introduced in 2007. The coin program follows the standard set by the Australian Kookaburra coin. 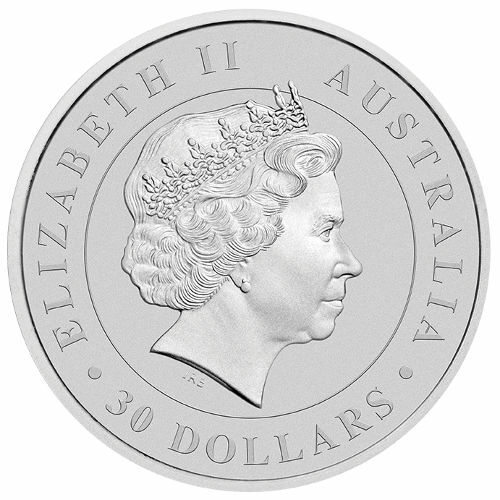 The koala coin is produced in both gold and silver on an annual basis, with bullion and proof versions available. Like other popular programs, the reverse design is changed each year and discontinued at the end of each calendar year. The Silver Australian Koala program has been downsized slightly in 2016. The Perth Mint plans to only produce a 1 oz and 1 Kilo coin, foregoing production of the 1/10 oz, ½ oz, and 10 oz coins. 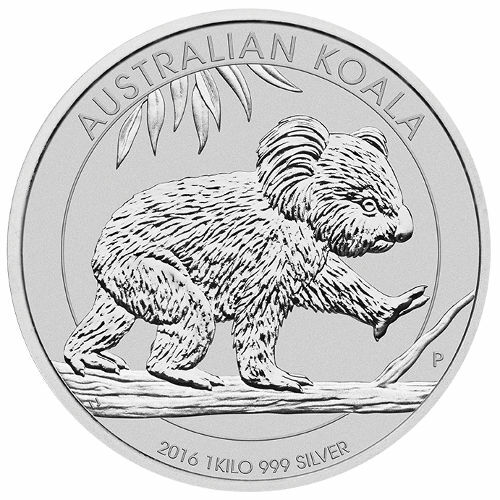 Each of the 2016 1 Kilo Silver Australian Koala coins in this listing features a Brilliant Uncirculated condition. Coins with a BU grade show no signs of wear and tear, but may feature spotted surfaces, breaks in the luster, or contact marks from the striking process. On the reverse side is the image of a koala walking on all fours along the branch of a eucalyptus tree. Engravings on this side include the Perth Mint “P” mint mark, the words “Australian Koala,” and the coin’s date mark, weight, purity, and metal content. The obverse side includes Ian Rank-Broadley’s right-profile portrait of Queen Elizabeth II. Her Majesty’s portrait image is surrounded by engravings that include her name, the nation of issue, and the face value of the coin. Perth Mint is Australia’s oldest operating coining facility. Opened in 1898 as the final of three British Royal Mint facilities, it has outlived the Sydney Mint and Melbourne Mint from the former Royal Mint system. If you have questions, feel free to reach out to Silver.com. Our associates are available at 888-989-7223, online through live chat, and via email. Looking for similar products? Be sure to check out our full selection of Perth Silver Koala Coins.